My friends and I no longer call it West Chelsea. We live in the High Line Area. This is a neighborhood that is changing and developing every day. To me, this neighborhood symbolizes what New York is all about: a constant moving energy, an eclectic mix of old and new, art and fashion, high and low…and above all, like in a futuristic novel…we have a park in the sky. Spanning from The Meatpacking District, West Village, and West Chelsea to the Southern part of Hell’s Kitchen a new neighborhood is slowly taking shape: The High Line Neighborhood. This is the area surrounding the High Line, the 1.45 mile long freight train tracks originally constructed in the 1930-s, running 22 blocks from Gansevoort Street to 34th Street. Former slaughterhouses, gas stations and hang outs for drug dealers and transsexual prostitute are today host to some of the city’s coolest boutiques, hippest restaurants and most exclusive clubs and hotels. Friends of the High Line have been advocating to save the High Line since 1999 when the Giuliani administration was seeking to have the 70-year-old viaduct demolished. Today over 2,000,000 people have visited Section 1 (from Gansevoort to 20th Street) of the elevated park since the opening in June 2009. Section 2, which extends from 20th to 30th Street, is under construction and is expected to open during spring 2011. Since the mid-1990s, Chelsea became a center of the New York art scene. As art galleries were priced out of Soho, the old industrial lofts of West Chelsea turned into perfect art galleries and lofts. From 16th Street to 27th Street, between 10th and 11th Avenues, there are somewhere between 350 to 400 art galleries. A rezoning was designed to protect the West Chelsea Arts district and allow for the development of world class architecture on its periphery. The city rezoned the area in 2005, allowing for a large district around the High Line in which air rights could be transferred, and also allowing for a bonus that permitted developers denser apartment buildings if they include one-fifth of the units as affordable housing. The West Chelsea/High Line Rezoning Plan by the City of New York’s Department of Planning paired with the opening of the High Line park, has led to a construction boom that might be unrivaled in terms of the instant creation of super-expensive real estate and spurred the development of over 1,000 residential units and 2 million square feet of commercial space. Today the neighborhood is being lined with architectural wonders by “Starchitects” like Richard Meier, Neil Denari, Linda Roy, Gary Handel, Audrey Matlock, Enrique Norten and Robert A.M. Stern. Frank Gehry’s IAC building, Shigeru Ban’s Metal Shutter Houses, Annabelle Selldorf’s 100 11th Avenue, and Jean Nouvel’s 200 Eleventh Avenue are among the new structures redefining the skyline. If you can’t afford to buy into one of these master pieces, you can always enjoy looking at them while strolling down the High Line. It’s particularly pretty as the sun is setting over NJ. Chelsea – Almost too Convenient! 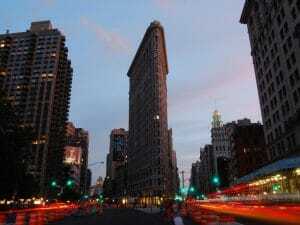 I have lived in Chelsea on West 22nd between 7th & 8th for 5 years now and I love it. 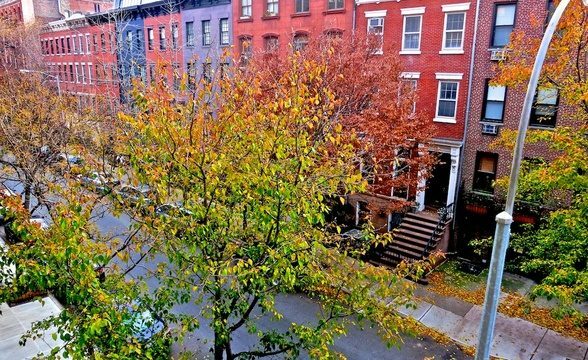 When I first snagged my rent stabilized apartment, I remember walking back from a New York Rangers game at The Garden and walking down my new tree-lined street. It was almost magical, living on such a beautiful & charming block. What is great about the area is that you have access to virtually anything you could possibly ask for within a 5 minute walk in any direction! The red, blue, & orange lines are steps away and there’s at least 2 of everything! We have whole foods, trader joes, garden of eden for food shopping; gotham comedy, chelsea cinemas, and the upright citizens brigade for entertainment; convenient stores such as best buy, staples, home depot; and tons of outdoor dining and amazing food. I highly recommend Rocking Horse Cafe, try the tamal de camarones and a margarita! And that’s merely scratching the surface! We have the Highline, Chelsea Piers, and so much more. PS… I just renewed my lease for a 6th year! Chelsea covers a wide territory. Here’s my personal take on its highlights geographically. Chelsea is a great place for nightlife, but as of recent some of the really popular clubs like stereo have been closing. There are some businesses in the Chelsea area, but it is known for its Gay community. You have to check out Chelsea piers. There are old war ships parked on the piers, as well as The Lighthouse, a gorgeous restaurant and ballroom. Chelsea piers also boasts a driving range, soccer field, rock wall and ice rink. Home to majority of the new residential luxury high-rises. Lots of professional people along with a good mix of ethnic and gay communities. Very centrally located with easy access to just about anywhere. Lots of transportation options and plenty of shopping. The best part about living in this neighborhood is the proximity to just about everything you’d ever want. Biking paths, great restaurants, the Meatpacking Districta few blocks away, 300+ art galleries, Chelsea Piers sports complex, and more. The people in this neighborhood are very friendly, but being trendy helps. It’s also great for both singles and young hip families. The sidewalks are not too great for strollers, but that’s not stopping young families from moving in. Location, restaurants, bike paths, art galleries. Limited transportation options, gritty in places. Chelsea may be most famous for its lofts, contemporary galleries (the area is informally New York’s It place for the visual arts), and its forthright tolerance for theLGBT scene, but arguably the real charm of this 20-block stretch of the city is the world-famous Chelsea Market, open daily and showcasing everything from the commercial to the curious. While the Market may be a hotbed for out-of-towner’s, it’s also a local staple for both customers looking for that perfect block of artisanal cheese and vendors looking for a hip but down-home place to display their wares. But besides the Chelsea Market, everything mentioned above is also true. Chelsea has long been a bastion for artwork that claims to be the next Rothko and Pollack. Its galleries are not sidewalk attractions but a fully blended element of the street scene – one may walk in to see the latest and greatest that the sculpture world has to offer as easily as one may step into grab a double latte at the nearest Starbucks. Not to mention as well, it was the early go-to place for motion pictures – Mary Pickford apparently shot her early films here. And once home to a hefty dose of Uranium from the Manhattan Project, Chelsea also derives much of its architectural legacy from converted warehouses and industrial buildings that now house a number of upscale residential lofts pricing in the millions. These lofts are perennial real estate hot spots and stand out to buyers due to their 14-foot ceilings and modern interiors. But don’t worry, there are plenty of places to rent here as well – if you’re not afraid of footing a steep monthly bill. The good news is that there isn’t a drop of Uranium left over from the post-WWII nuclear craze – all of that was apparently cleared up in the 1990’s. Chelsea definitely has a culture of its own. The neighborhood attracts single individuals of all types, but the greatest focus is on gay men. Streets like 8th Avenue are lined with shops that proudly fly the rainbow flag. Businesses of all kinds are attracted to the area as well, but the main focus is restaurants. The restaurants in the area are great not only for their food and atmosphere, but also for their convenience. Almost all the restaurants in the area offer online ordering through local sites such as SeamlessWeb.org. This makes not having to cook very easy, as most Chelsea residents don’t. The restaurants in the area also range in price from dollar pizza slices on 6th Avenue, to absolute gourmet on 10th Avenue. 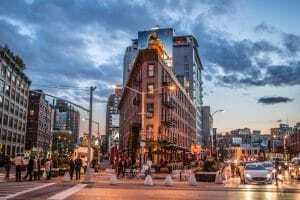 The area draws a lot of tourists to see such places as the Chelsea Hotel, where Sid Vicious died, and the Chelsea Market, where the Food Network films its shows. The area is also great for families and those who enjoy the outdoors. There is a great running and biking path along the Chelsea Pier that runs from the bottom of Manhattan all the way up past Riverside Park. When visiting you see people of all walks of life outside enjoying the area. Living in the area you feel very safe walking around 6th-8th Avenue at nearly any hour of the night. The closer you get to Chelsea Pier at night though, the more careful you should be, as it is the less populated area. Overall I would highly recommend this area if you are looking for a new place to live, if you can afford it. Chelsea is a great neighborhood for artists or all kinds, with its eclectic street art coupled with its numerous fine art galleries. Sadly, because of the recession, many of these galleries have closed, but hopefully they will return or new ones will emerge. Chelsea Market is a great place for fresh food, be it pastries, seafood, or candy treats. Definitely stop by for lunch if you’re around the area. I work in Chelsea at the Blockbuster there and Chelsea is a nice little community. For the most part the community is alternative lifestyle and Hispanic. There is a ton of great food, bars, and shops around and the people are usually really cool. I have never had a second there where I didn’t feel safe and my female co-workers I’m sure would agree with me. Chelsea is great. House music and trendy restaurants make this neighborhood a haven for club-hoppers and young New York socialites. Those with expensive tastes feel most at home in this artsy district. 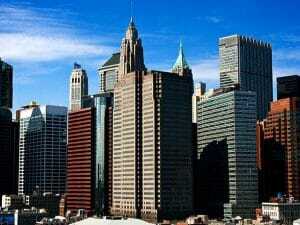 Tourists flock to see the numerous galleries, shop at top-tier boutiques or practice their golf swing at Chelsea Piers. There’s a nice balance of pretention and low-layers. Many residents believe in see and be seen and are sporting the hottest trends and are on guest lists months before ground breaks on new spots. Others prefer to sit in their brownstone apartments and grab an espresso at their local caf . Whichever category you fall into, Chelsea is for a youthful and vibrant crowd. You won’t find too many retirees or families in this always-bustling neighborhood.Beverly W.